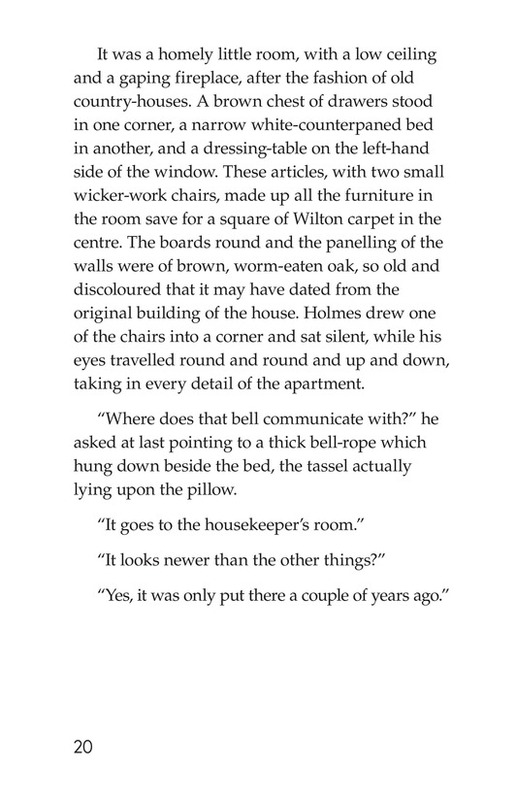 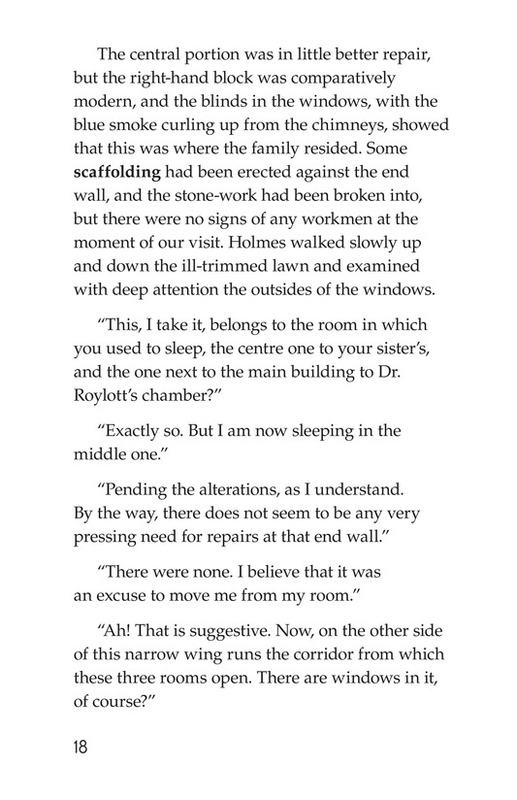 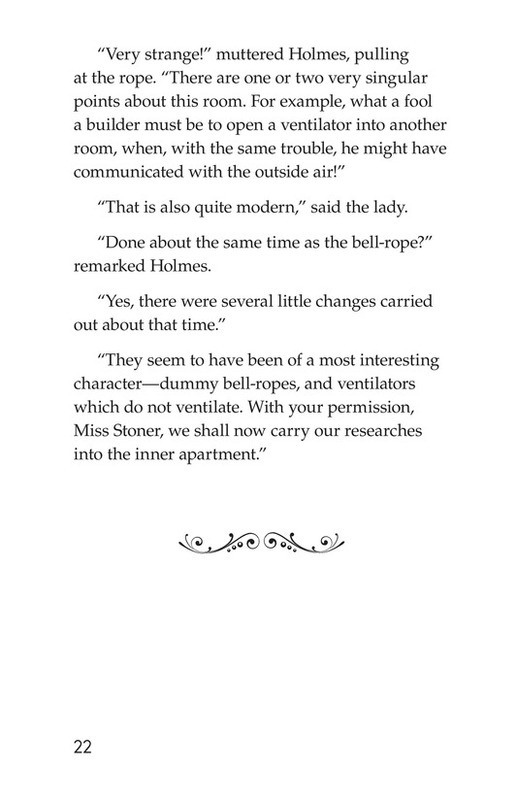 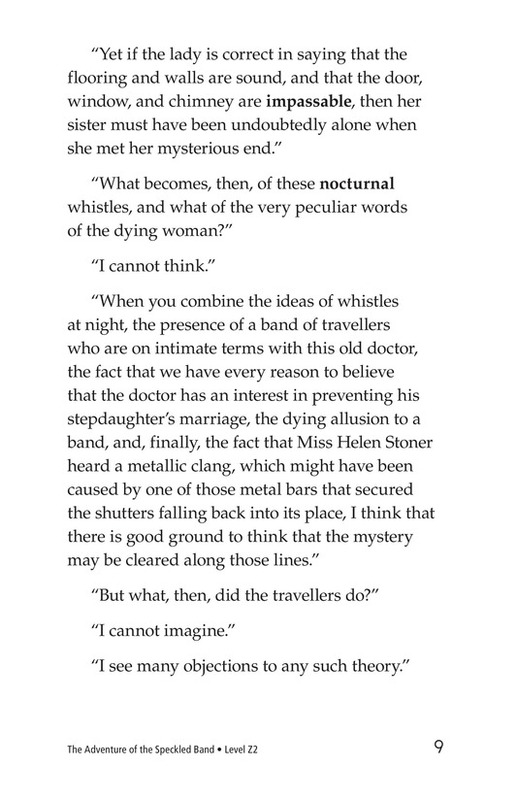 Helen, recently engaged, tells Holmes and Watson that she was moved into her sister's old bedroom. 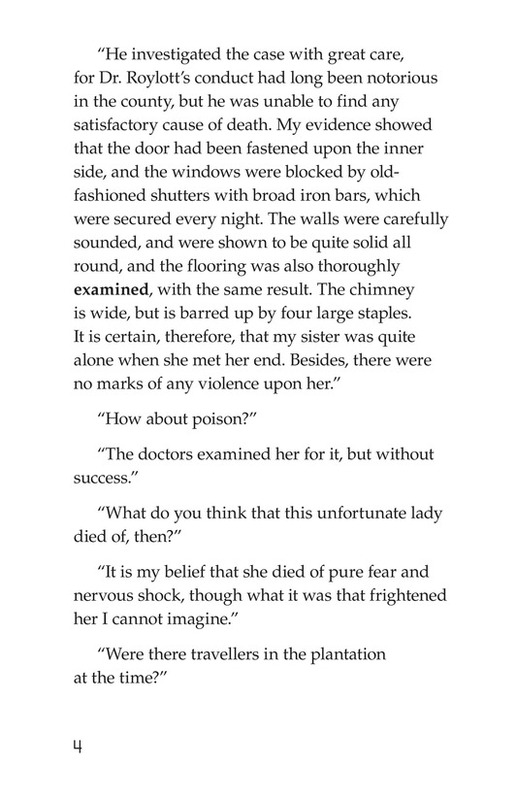 She began to hear frightening sounds at night and now fears for her own life. 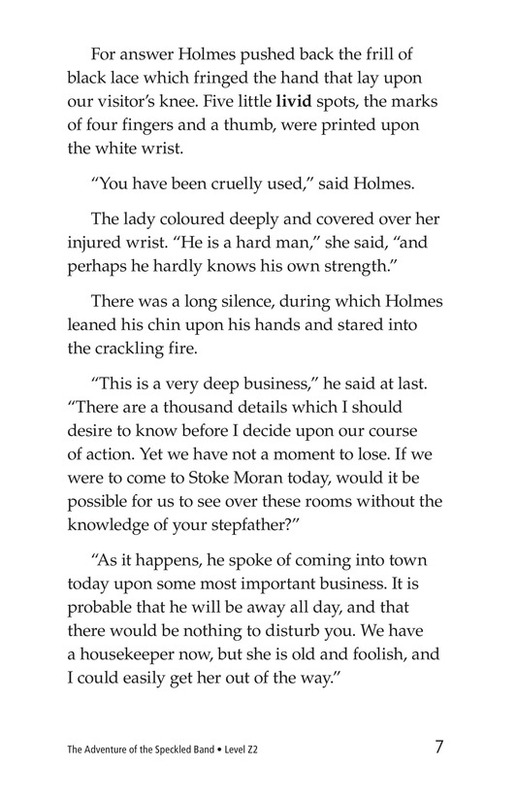 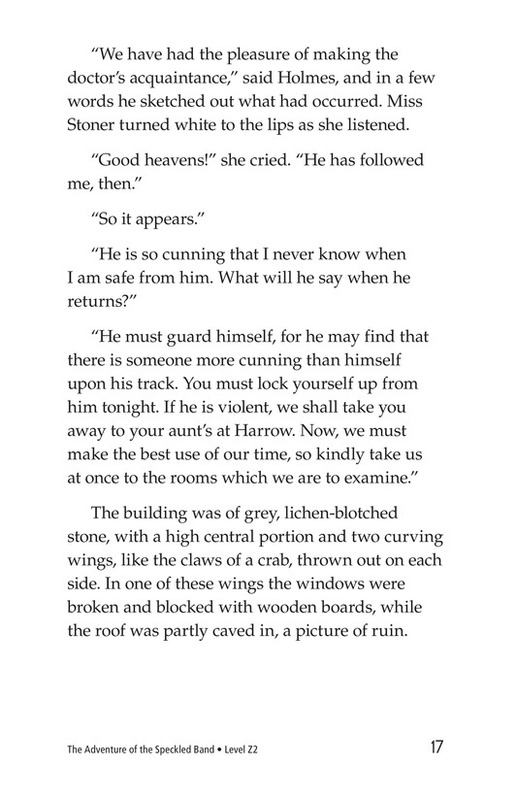 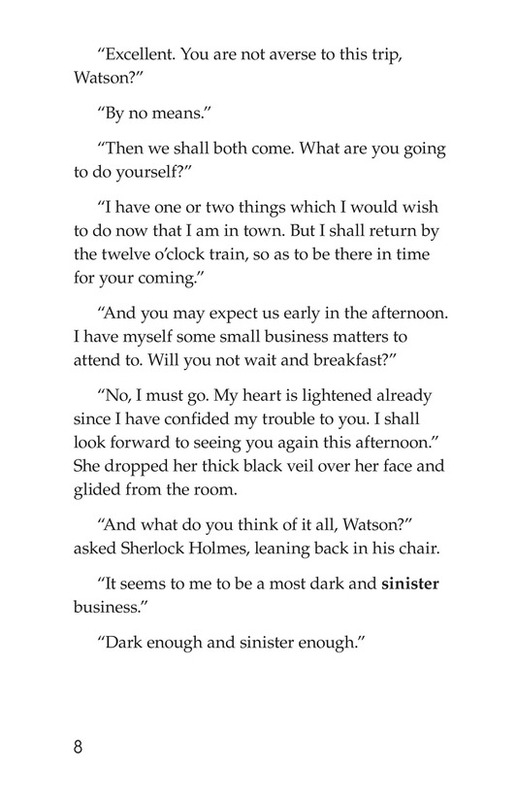 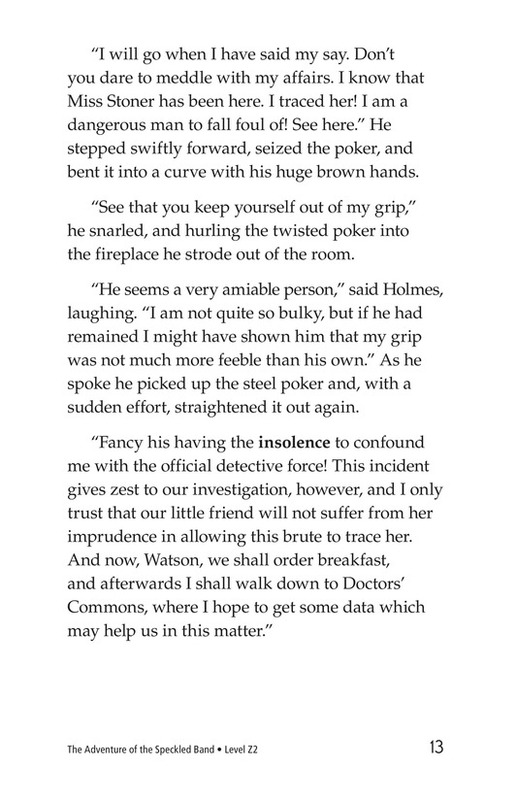 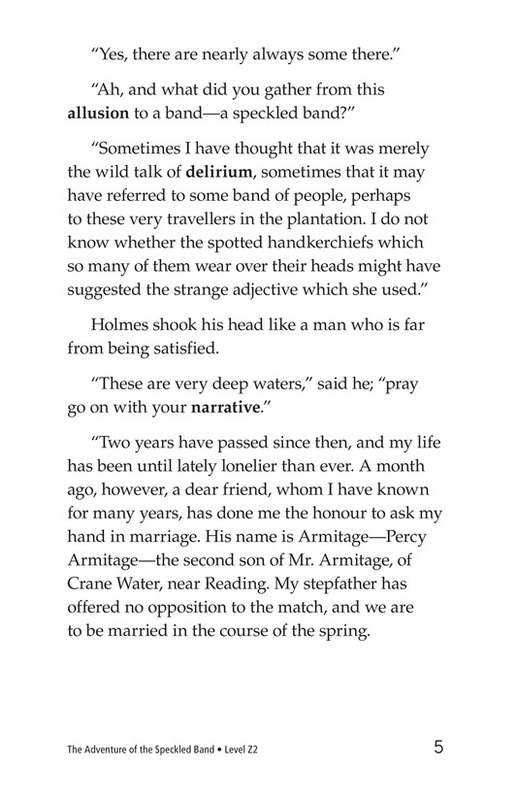 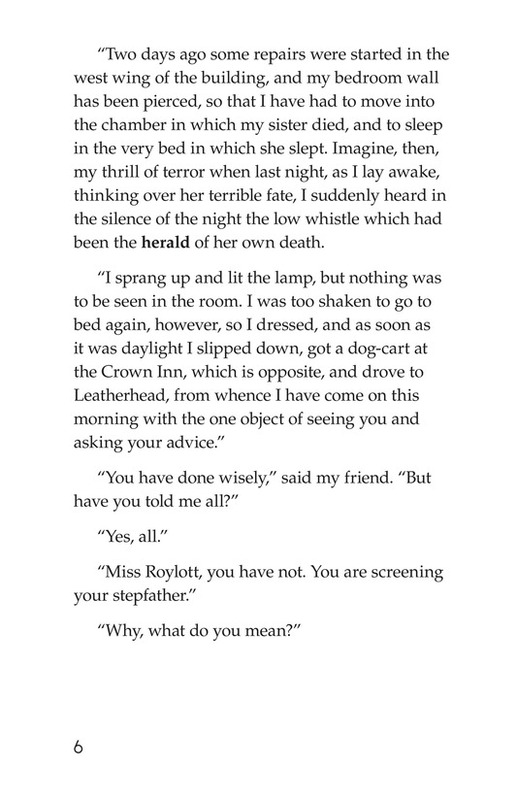 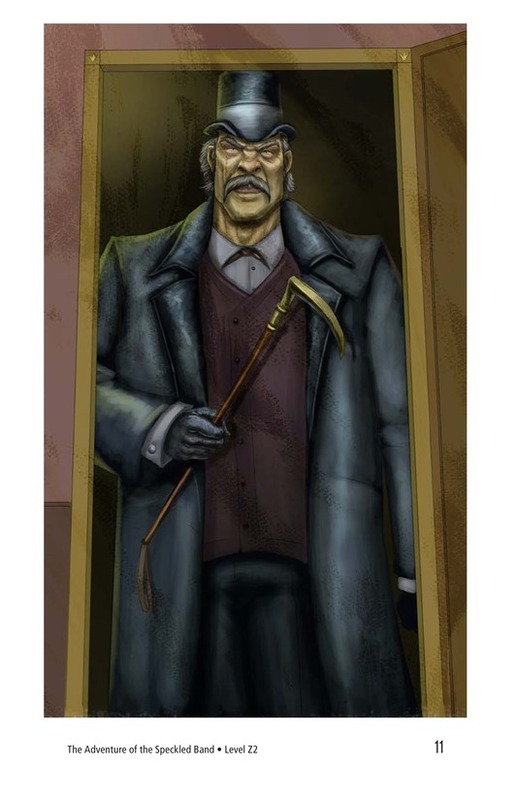 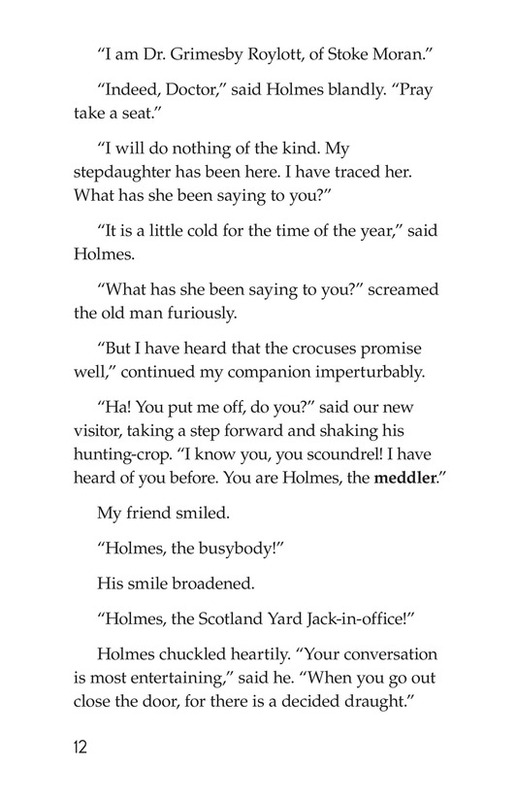 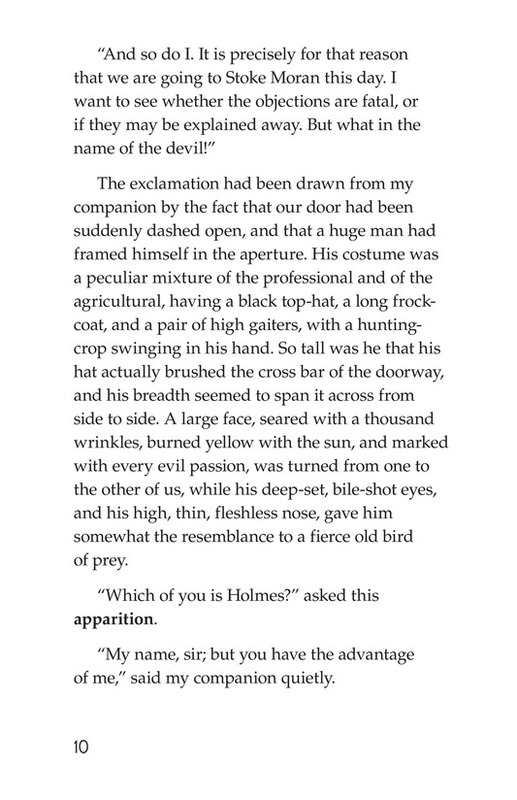 After Helen leaves, Dr. Roylott appears and threatens Holmes. 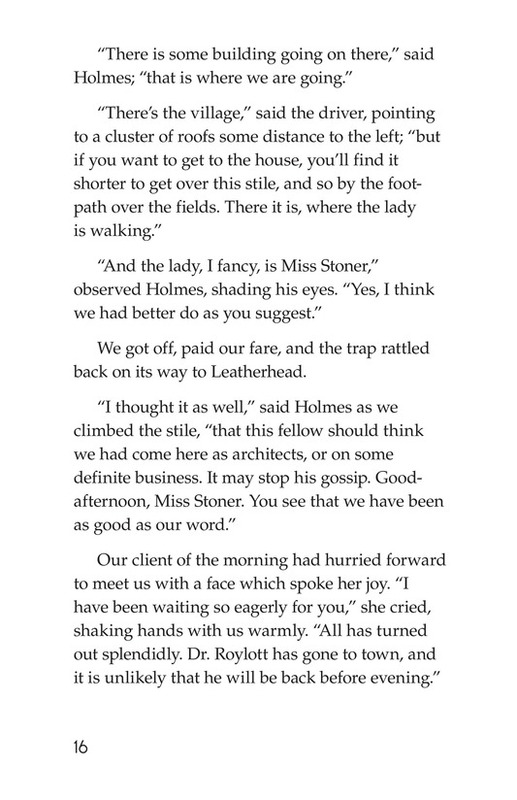 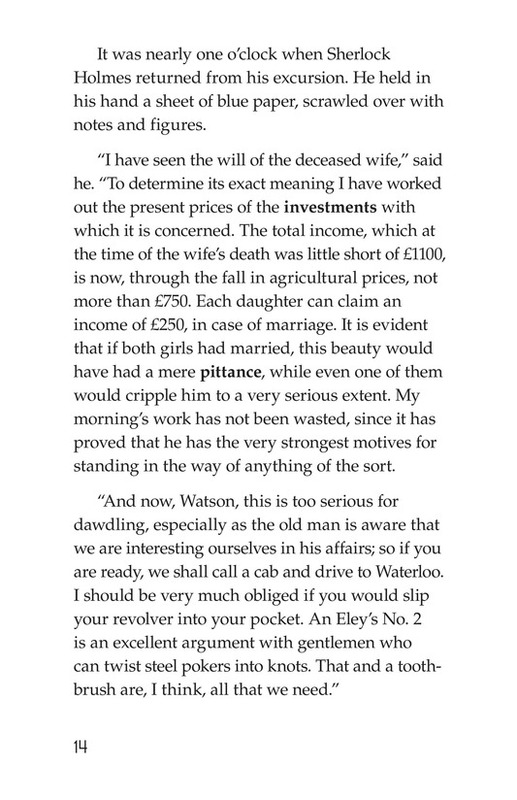 Despite Roylott's threats, Holmes studies Helen's late mother's will and discovers that Roylott would lose a great deal of money after his stepdaughters married. 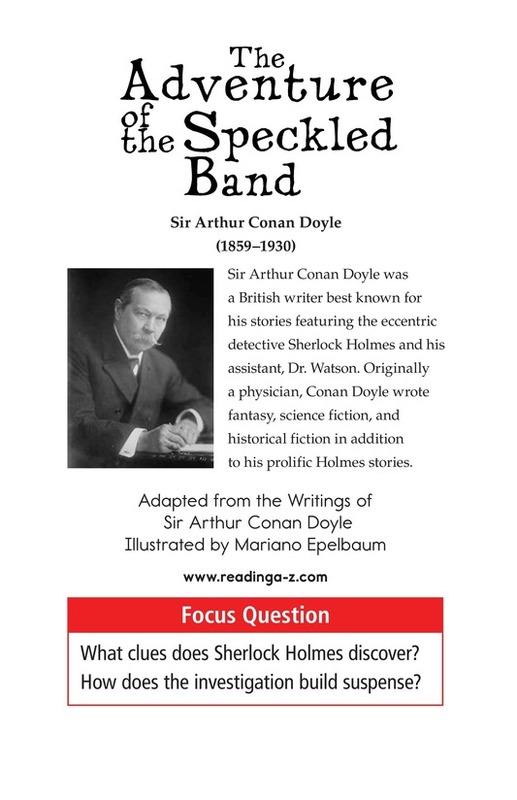 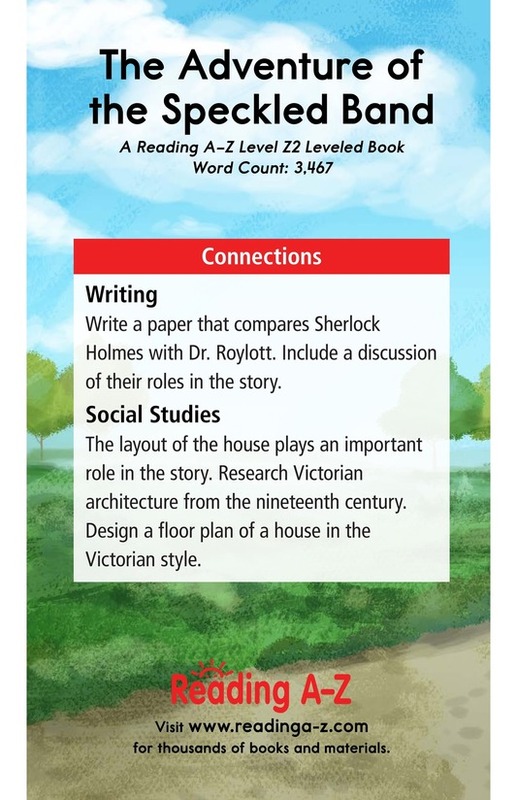 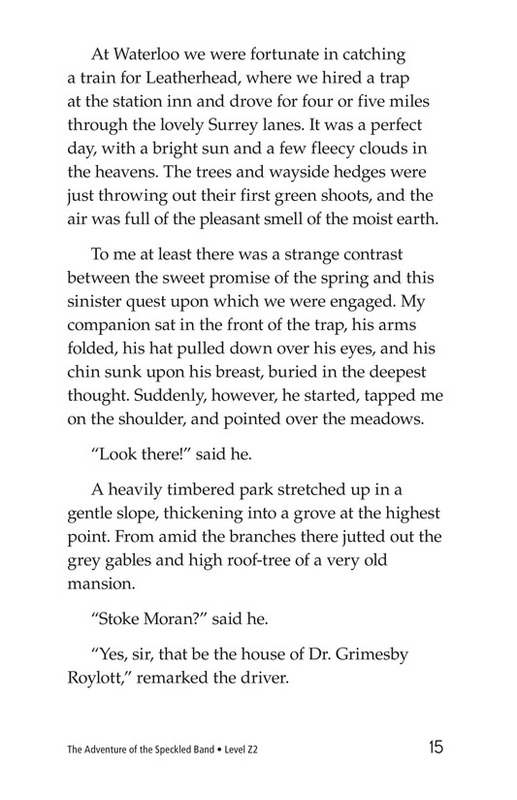 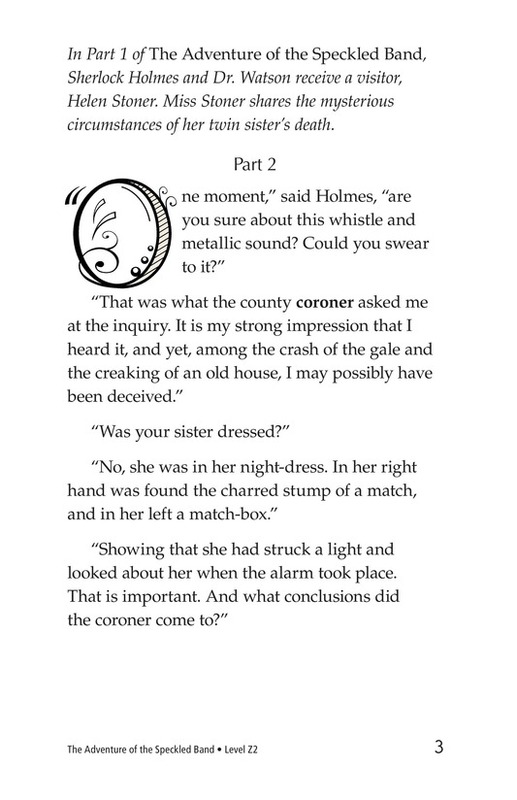 Holmes and Watson then travel to Roylott's house in the country. 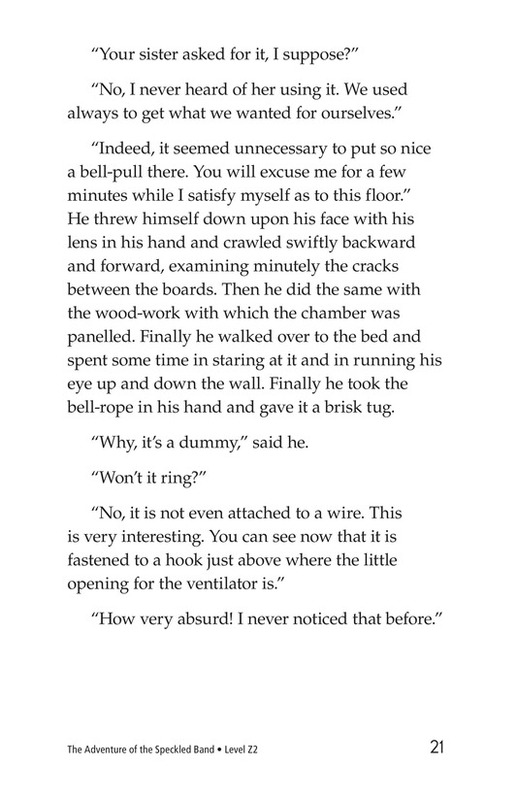 They discover some oddities in Julia's old room, including a bell-rope that doesn't work and a ventilator hole that leads to Dr. Roylott's room. 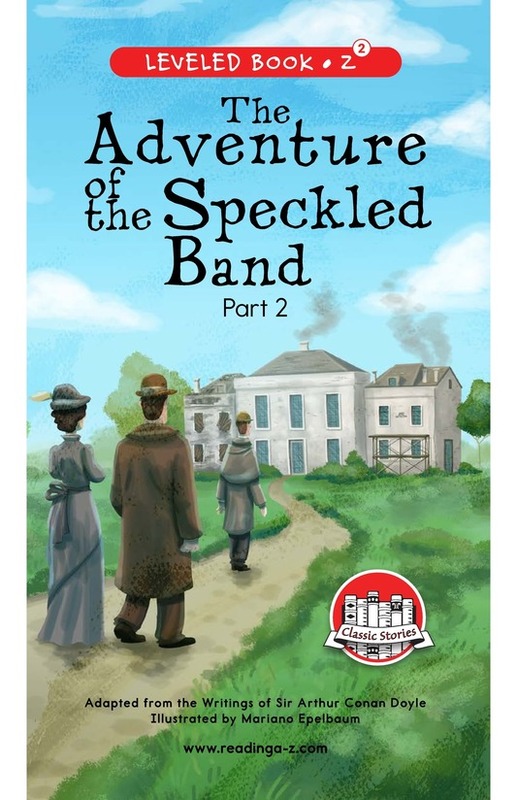 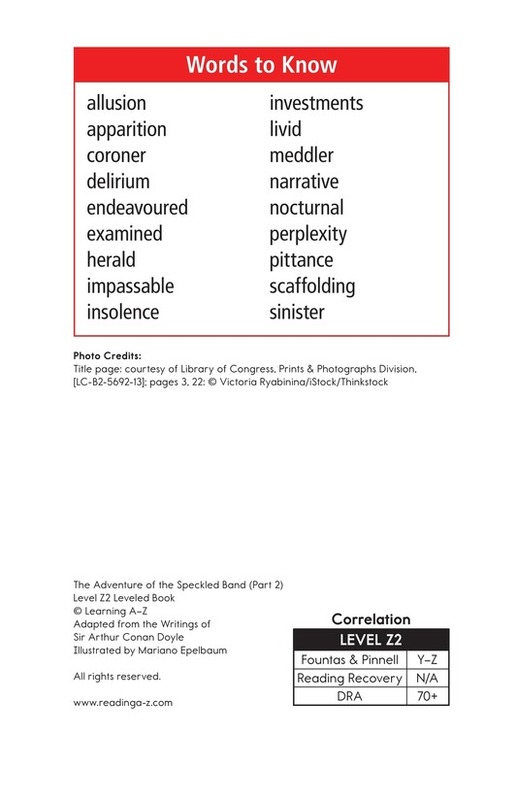 See The Adventure of the Speckled Band for other parts of this Classic as well as the lesson plan, worksheets, and discussion cards.